Stay away from narrow-minded people; those that bring you down. Keep good company. 2. Eagles have an accurate vision: Have a Vision and remain focused no matter the obstacles; and you will succeed. 3. Eagles do not eat dead things. They feed only on fresh prey: Do not rely on your past accomplishments. Keep looking for new (life/business) frontiers to conquer. 4. Eagles Love the Storm: Achievers are not afraid of challenges. Instead, you should use challenges profitably. 5. When A Female Eagle Meets A Male Eagle, She Tests Him For Commitment: Whether it is your personal or professional life; you should test the commitment of the people you intend to partner with. 6. Eagles Prepare For Training: Leave your comfort zone; there is no growth there. 7. When the Eagles Grow Old, they Hurt Themselves For New Feathers: You need to occasionally do-away with old habits. Things that burden you or add no value to your life or business; should be let go. GUIDE TO GOOD USE OF THE SOCIAL MEDIA PLATFORMS. 1. Always learn to appreciate other people's posts: Even if they are not your friend. 3. When you see something you don't like from someone: Inbox the person. Don't attack him/her on the platform publicly. 4. Never insult or use unpleasant languages on anyone: You may turn the platform to combat ground. 5. Be quick to say sorry and apologise: When you have erred. It helps to douse down the tension which your utterances could have created. 6. Don't try to enforce your ideas or suggestions on anyone: Nobody has monopoly of wisdom/ knowledge. 7. Never settle scores with anybody on a platform: Will give others the opportunity to take sides, thereby causing others to withdraw. 8. When anyone is celebrating: He/she may not need to be your friend before you celebrate with that person. It's the spirit of togetherness/brotherliness. 9. Some people have the gift of talking and others the gift of reading, etc: Learn to contribute meaningfully to the platform. Even if it is just using the symbol ... It makes people know that you appreciate them. Please Note: You may see some of the following posts. (A) Offensive posts: Don't attack the person, it could be a mistake. Correct the person, with love. Commend the person. Don't just read and keep quiet. Start by appreciating the writer, then correct the information, but don't hush him/her up with condemnation. JOCCIMA joins our national campaign: SAY NO TO HATE SPEECHES. GOD BLESS AND KEEP NIGERIA AS ONE UNITED NATION. 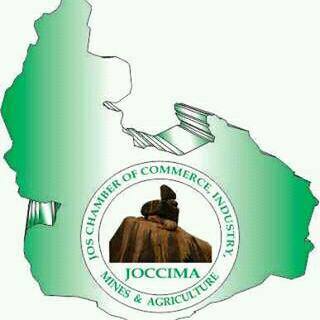 Office: JJ79T Jos-Jarawa, Tina Junction, Jos, Plateau State, Nigeria.